“The people of Connecticut would be “blown away” if they found out that extremists like Donna Grossman serve on boards and commissions in our state. Donna Grossman’s threat was specific and deadly in nature. At a time where politically motivated threats are under such intense scrutiny on all sides, we should all be alarmed by this incident. 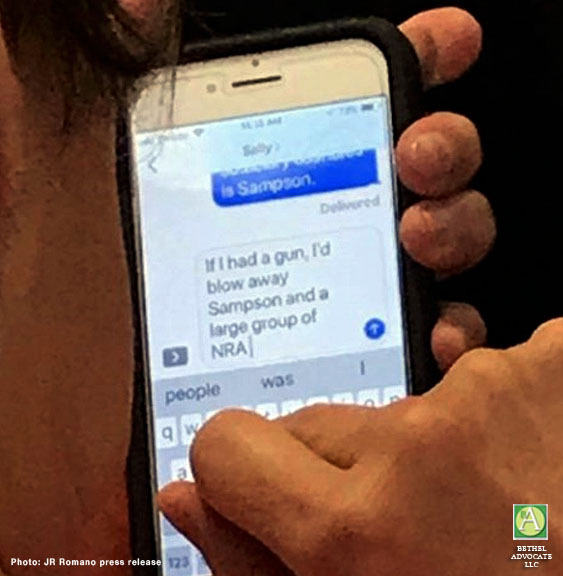 But Ms. Grossman’s Twitter profile leaves no doubt that her extreme and potentially threatening sentiments go beyond Senator Sampson and the NRA. This poses a serious question over her ability to serve fairly as a public servant.